DTW is almost nauseously thrilled to be able to present this successor to the legendary Saab 900 ashtray. 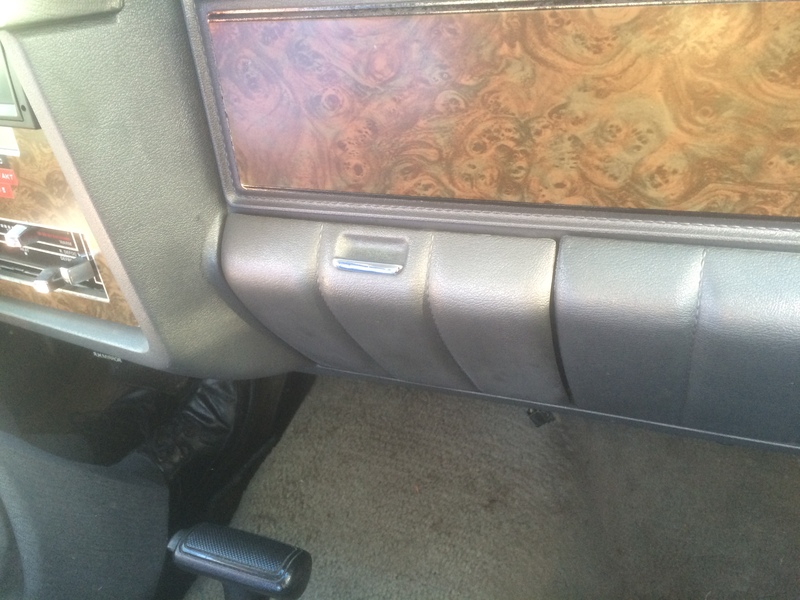 We are very proud of our focus on this aspect of car design: ashtrays. We looked at the extensive failings of the Avensis’ auxiliary controls this week. This article deals with the rest of the car. 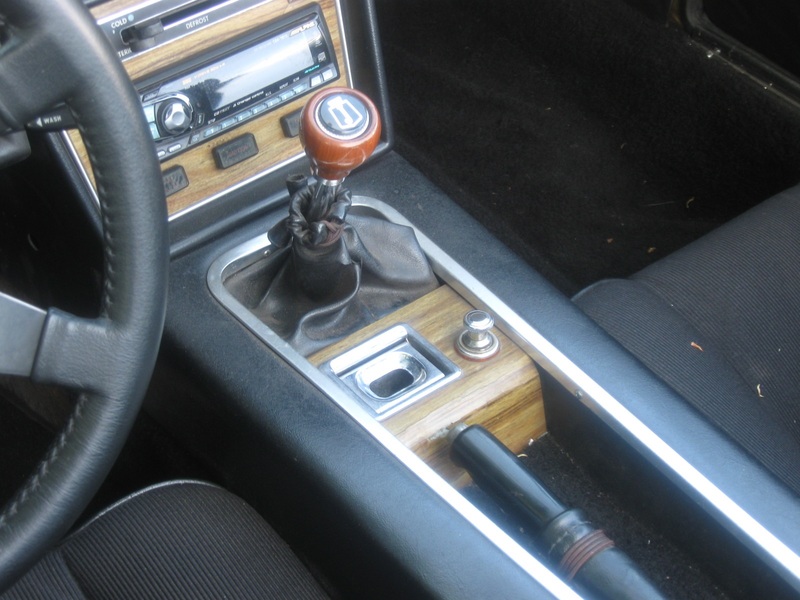 Among the better features of Toyota’s large family car (now replaced) is the driver’s ashtray. 2014 Toyota Avensis ashtray, closed. Just two Renault 30s remain in Denmark. Here is the driver’s ashtray of one of them, another DTW world exclusive. 1976 Renault 30 centre console. Careless join, isn’t it? I’d like to present a car only Myles Gorfe, our contributing classics assistant sub-editor-at-large, would like. We can add this vehicle to the DTW collection of ashtray rarities. This must be a DTW exclusive. Daihatsu offered a small-car with a tank-like demeanour. Who can say what this car might be? The image is courtesy of Mick and forms a tiny detail of our exciting Photoseries For Sunday, coming very, very soon. 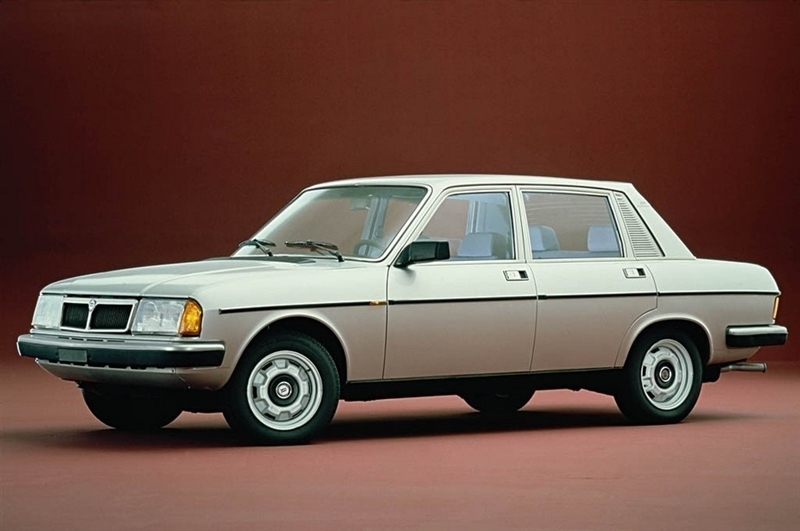 “Dignified Italian” is how Autocar described the 130 saloon in 1972. Having had a chance to sit inside one of these cars recently, I can confirm that this actually undersells what is a remarkably lavish saloon. These cars won’t keep out of the way of this site. It’s a W114 coupe ashtray, as designed by Paul Bracq. The seller placed this ad in January and the car is still for sale despite the promise of a complete lack of rust. I had reason to be in the back of Audi A6 the other day. Among the many publications to which Archie Vicar contributed was the Woman’s Monthly Report (WMR), published in Tewkesbury. This text appears to be a transcript of his views on the updated Fiat 127, an item notable for its distinct refusal to patronise the audience, published in the WMR in October 1977. Owing to the original film being accidentally exposed in transit, stock images have been used. 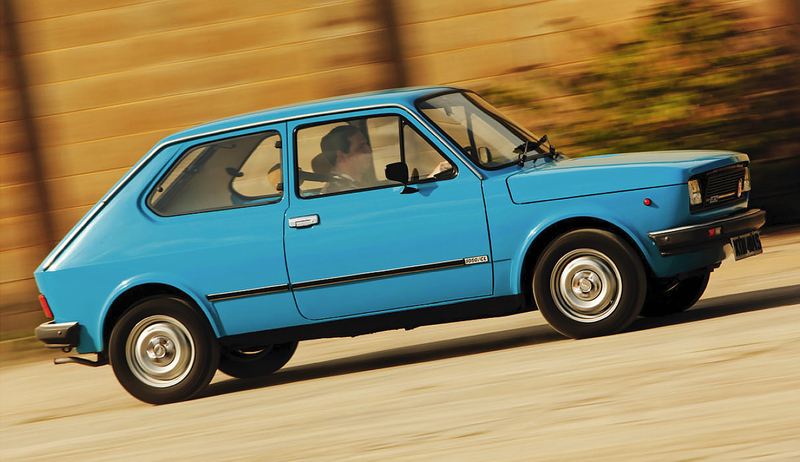 The Fiat 127 has come to define the category of car it created, the “supermini” . Six years on from its launch a quarter of all “superminis” are 127s. 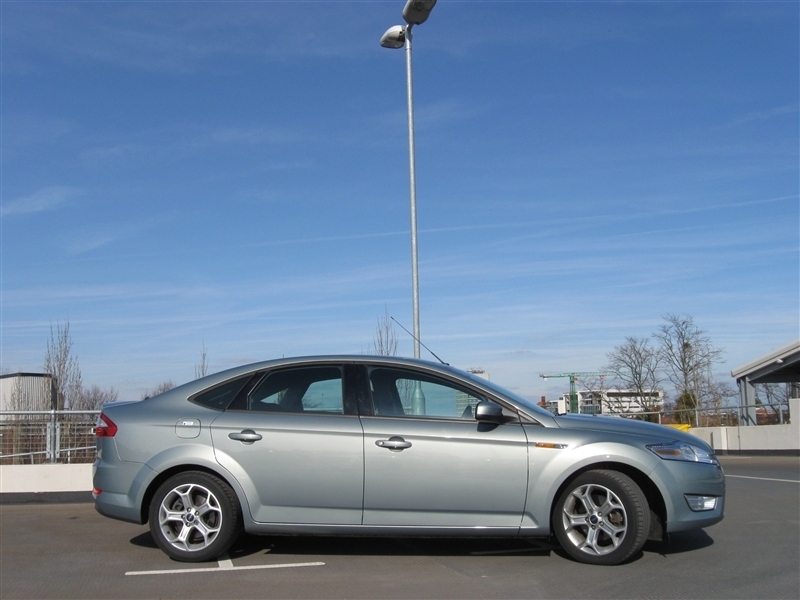 The appeal of the car is in its handy size and competitive price if not its boxy appearance and careless assembly. 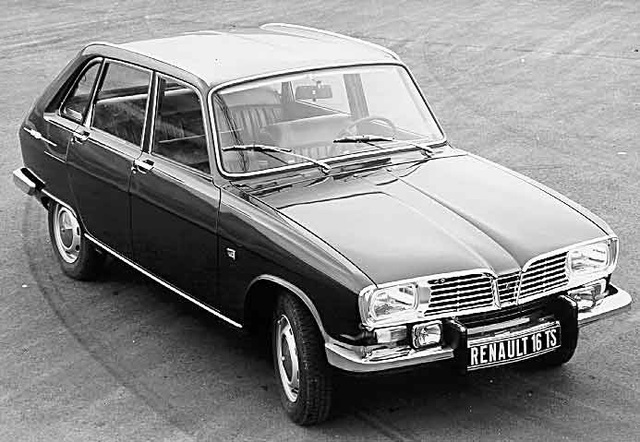 Since 1971, Renault, Volkswagen and Peugeot have fielded entrants in the class. It’s time for Fiat to respond. At the Classic Race Aarhus today I spotted this Jensen Healey, which was the most succesful Jensen of them all, despite its short run from 1972 to 1976. It had a 2.0 litre Lotus engine and this very, very small ashtray. 1972 Jensen Healey ashtray. Classic Race, Aarhus, Denmark. 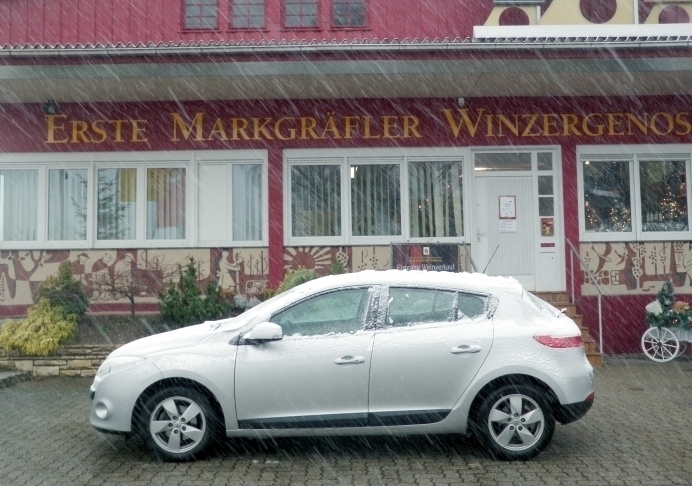 DTW tested the Renault Megane in 2010 and found it wanting. Another chance arose to test the car and so we can now offer a second opinion. What still irks and which aspects seem less unpalatable with the passage of time? 2015 Renault Megane Sports Tourer. Never use a black car for a road test. This is the car under sunny conditions. It’s not that I have a Ford fetish. This is just the kind of car that keeps cropping up. A few months back Car magazine ran a very harsh review of the 2015 Nissan Pulsar. You can read the text here (undated) to see all that they said. 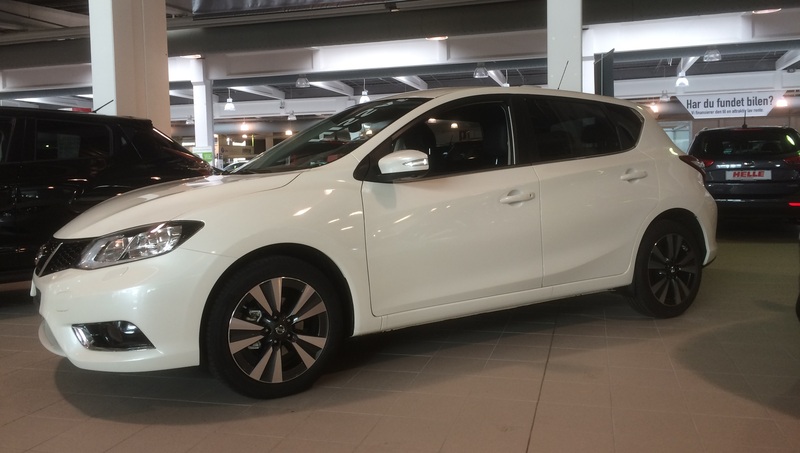 2015 Nissan Pulsar in Dig-T 115 Tekna X-tronic trim. Leather, autobox and alloys. The Ford Granada/Mercury Monarch pair are not known to be among Ford’s finest cars. Recently I had a closer look at a 1980 Mercury Monarch to see what it was really like. Given that reputation, it may come as a surprise to some (it surprised me) that Ford marketed it as a rival to Mercedes’ W-123 in its 280E guise. Ah, that car again. The car shown here is a 2-door Monarch with the “Windsor” 4.9 V8. Ford also made 3.3 and 4.1 straight sixes available along with a 5.8 V8. The Ford version was almost the same barring cosmetic details at the front and back. 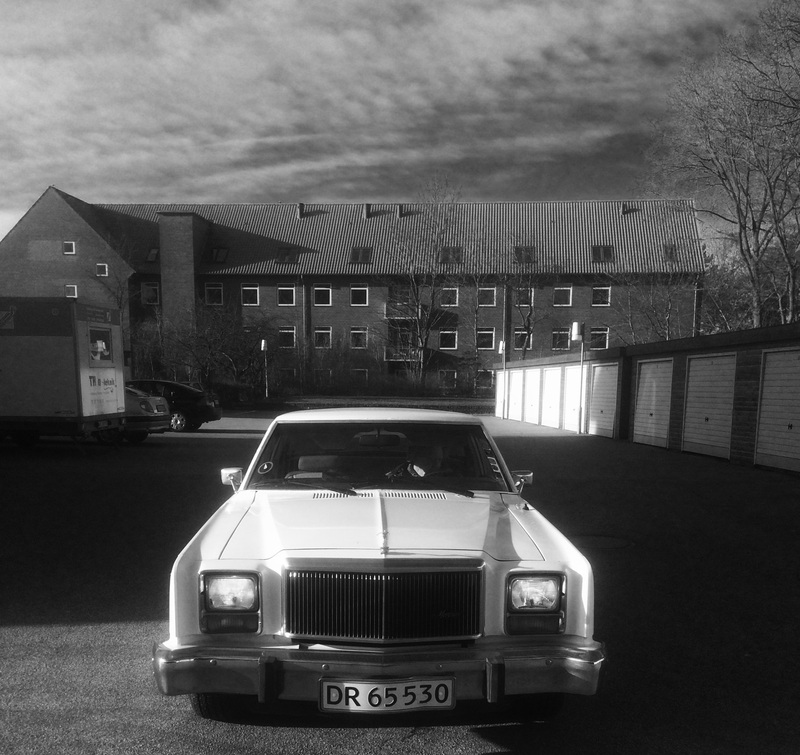 DTW is in the middle of preparing a consideration of the 1980 Mercury Monarch which was all but identical to the 1980 Ford Granada (the US version). 1980 Mercury Monarch driver´s ashtray cover. It is a legendarily mediocre car, even with a 5.0 litre Windsor V-8. More on that soon. In the meantime, I thought I would fillet some of my findings and present this amuse-gueule or Häppchen: the driver’s ashtray. DTW takes a Fiat 500C on a road trip. What did we learn? For one, don’t trust the fuel gauge and for another, it’s amazing people buy the Ford Ka. DTW is a bit late to the party in the case of the 500 as we aren’t yet on the invitation lists of the major car companies. By now the 500 is getting on a bit, launched as it was in 2007 when George Bush was still president. Nonetheless, we have got a hold of one now and if this isn’t a review of the car, at least it provides a check against the opinions of the motoring journals. 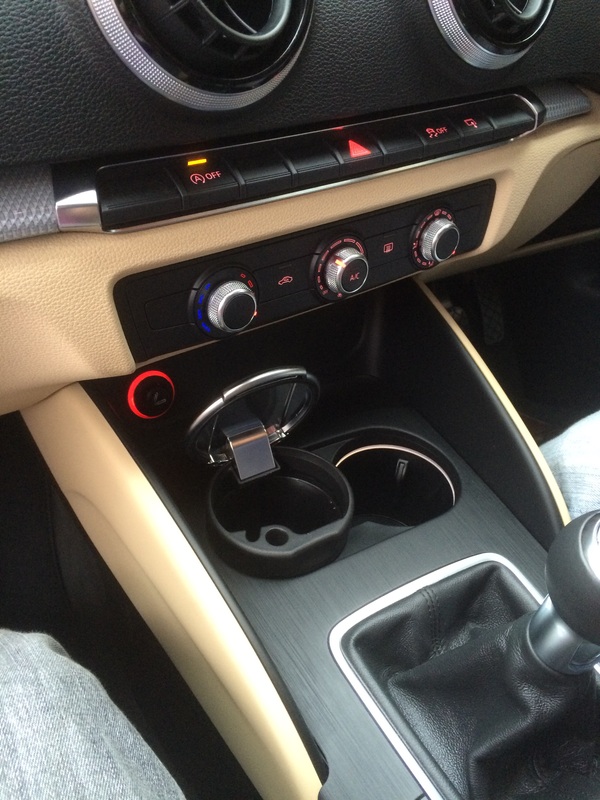 A chance to look inside Audi’s A3 presented itself. I found what is referred to as a smoker’s pack. These are to ashtrays what “cotton rich” is to shirts. For a costly motor car such as the A3, the quality of the plastic is far below the expectations of this writer. Audi must have saved a lot of money by deleting the standard ashtray and replacing it with a cupholder and a fireproof mug. At least a few extra euros could have been spent to design something more convincing than the Hasbro-level of moulding shown above. Does Audi really think their customers will overlook a lame effort such as this? “Hatchback of Notre Dame” – In this transcript the respected motor-correspondent, Mr Archie Vicar, dons his beret to try the new Renault “Sixteen”. 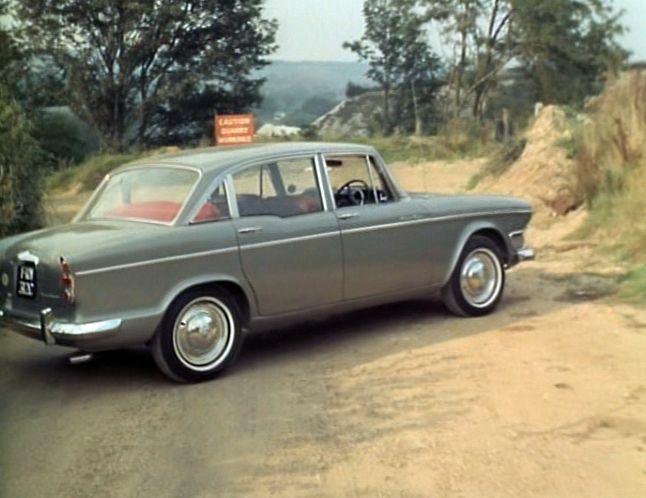 1965 Renault 16: it has five doors. From Driving Illustrated May 1965. Photos by Mr Douglas Land-Windermere. Due to the poor quality of the original images, stock photography has been used. “BM-double-who?” In this transcription from a 1966 article, Archibald Vicar takes a close look at a questionable product from a struggling motor manufacturer from Bavaria. Can the 1602 really compete, asks a sceptical Vicar. In this transcript of a period review, the legendary motoring writer Archie Vicar casts a critical eye over the new “Golf”, successor to the much-loved Beetle. “Fore! Can the new ‘Golf’ possibly succeed in a crowded and increasingly competitive market?” Asks Archie Vicar. “Building on a new tradition!” In this item, we have something resembling a transcript of a 1967 review by Archie Vicar. He finds much that is agreeable. 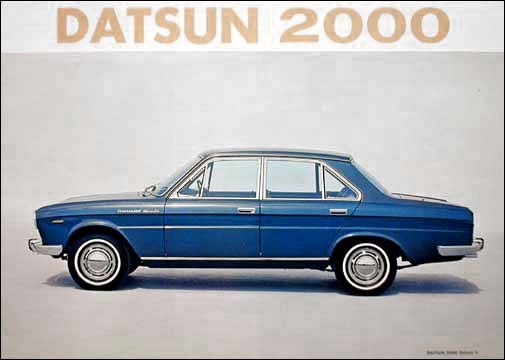 The 1967 Datsun 2000 De Luxe (also known as the Datsun Cedric) is one of Japan’s unsung landmarks. By Archibald Vicar From “Today’s Driver”, November 1967. Photographs by Wentworth Henry. Owing to excessive camera-shake affecting the original images, stock photos have been used. 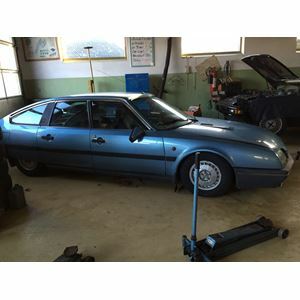 The Citroen CX is 40 years old this year. 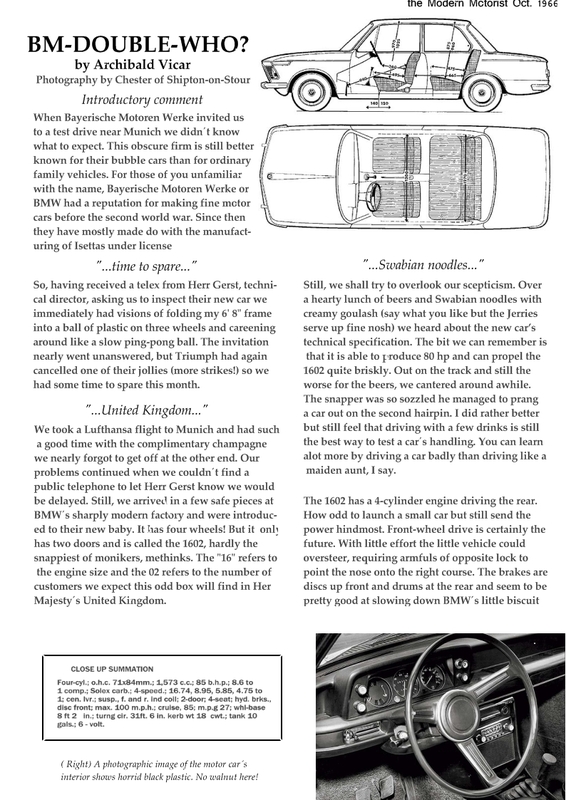 To celebrate this milestone in car design, we present what looks like one of the first reviews printed in the English language. By Archie Vicar – contributing motoring editor of the Worcester Morning Gazette, Sept 23rd 1974. Original photos were taken by Douglas Land-Windermere. Due to the poor quality of the originals, stock images have been used. DTW tries on a little silver number from Renault. In all good faith, motoring writers tend to fixate on problems much as the princess fixated on the pea. For those of us interested in cars, that’s fine: we are also little picky princesses, to a man. Merely knowing that there is some small aspect of a vehicle that impedes its theoretical performance around Thruxton on a dry day is enough to earn a definitive seal of disapproval. That is even if the aspect is wholly unrelated to the intent of the vehicle in question. “Even Beta: Lancia’s thrilling new Trevi.” Archie Vicar takes a look at an exciting new sporting luxury saloon from Italy’s respected Lancia marque. Track & Motoring, July 1981. Photos by Greg Orford. Owing to an overwhelming cyan-blue colour cast affecting the original images, stock photography has been employed. Without any doubt Lancia’s engineers have been scratching their heads since 1972, trying to think of a way to top the terrific Beta. Despite its front-drive handicap and an engine donated by Fiat, it really is a cracking car, with much to commend it. So how do they go better than the very best? Simple, they don’t. The Beta Trevi has a different interior and new body panels. But the underpinnings of the Beta are all still there and, some say, thank goodness for that. The Beta Trevi was shown in Geneva about a year ago but it’s only now available in the United Kingdom. We tested a 2 litre model to find out Lancia’s formula for building on their achievements of the 70s and taking them into the ‘eighties. Cars and Vehicle Magazine, May 1973. Photos by Reggie Parnassus-Greeb. Owing to the poor quality of the original images, stock photography has been used. For too long Alfas have been a car for the heart, but can they build one for the head too? The answer could now be “si.” For those of us fond of the Italian maker Alfa Romeo, there are clear signs that there really is a resurgence afoot. “The Alfetta is a new chapter in Alfa Romeo’s history,” said Angelo Scoria, chief of Public Relations, in a press release. Archie Vicar continues touring from London to Latvia in Jaguar’s new XJ-6. His mission, to test this important new saloon and to recover his hand-made shoes left behind on a previous jaunt. From “Private Motor Car Owner” (pages 34-39, page 109, page 116, December, 1968). Photography by Douglas Land-Windermere. Owing to the very poor quality of the original images, stock photography has been used. Getting into Latvia was a breeze. We presented our passports and sacrificed a few cherished boxes of Craven “A” cigarettes and we were in. Even the sight of the new Jaguar, in De Luxe trim and virtually rust free, didn’t make the unshaven brute at the border blink. It seemed like we would sail through under the dusty hem of the Iron Curtain. “Uncommon the twain!” In what is probably a purported period review, the motoring writer Mr. A. Vicar considers the choices of car afforded to varietists enjoying a moderately higher-than-average income. Sporting to a “T”. 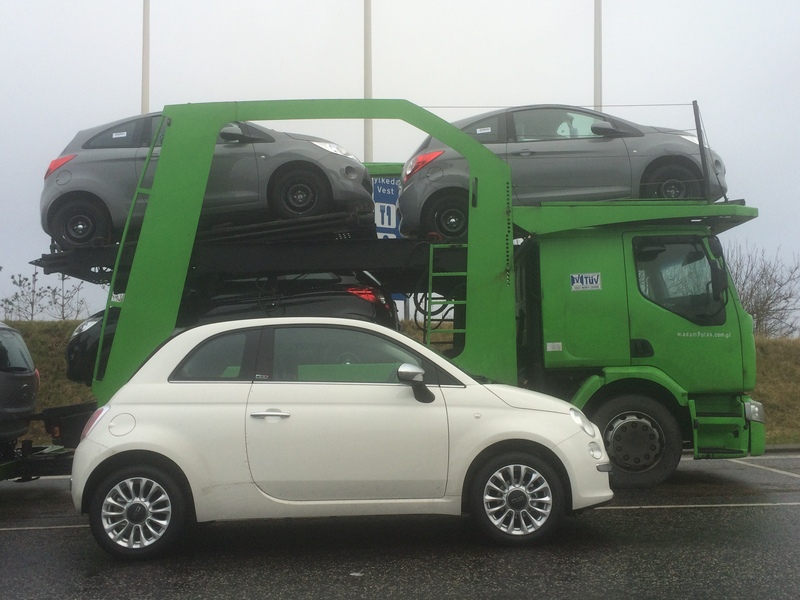 Archie Vicar drives to Sicily in the new motor carriage from Crewe. From Motorist’s Illustrated Digest, Dec 1965. Photos by Douglas Land-Windermere. Owing to the very poor quality of the original images, stock photography has been used.